Our product is natural paving stone of granite. It is made from land granit boulders. It is mixed coloured. 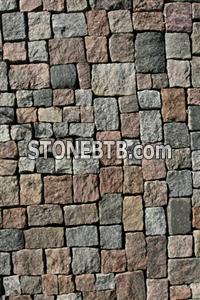 Have regular and irregular granite cobble and slabs.